Planning Napier weddings is easy when you chose a professional wedding planner. 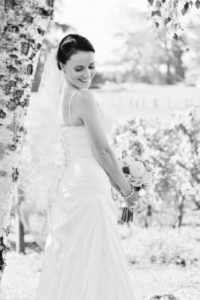 Hawkes Bay is New Zealand’s vineyard central and has the most opportunities for all budgets for a beautiful vineyard wedding. Photos amongst the vines in Napier are really special and with so many top wedding venues and world class vineyards, we can find the right one that best fits your requirements. Napier weddings in New Zealand are all about making the most of the region’s beautiful climate, green rolling hills and lush wine country. The scenery in the Hawkes Bay is amazing and offers a lot of opportunities for great wedding photos. The sunny warm days of Hawkes Bay offer so much to do and see. You could be forgiven for thinking you have stepped back in time. A total rebuild of Napier City after a massive earth quake years ago saw the city totally rebuilt in an art deco style. These art deco buildings are excellent to include into your wedding photos for a classic urban theme. Imagine a place where you pick your own fresh fruit, drink wine at world class vineyards, dine at fine dining restaurants and enjoy a bubbly or two. Such a great way to celebrate your wedding in the relaxed atmosphere of the sunny Hawkes Bay. This could be you! Napier weddings will surpass your expectations for sure! Eloping Weddings can arrange your whole wedding day and save you money with a long list of world class vineyards to choose from to suit all budgets. That’s right, we can handle the whole event and provide you with proven suppliers from the Napier region so you can relax knowing your wedding is in professional hands. We can also pre book all your activities, accommodation and adventures too for your convinience. Eloping Weddings has contracts with many suppliers of Hawkes Bay Tourism adventures and we are happy to advise and book your adventures before you even leave home. We do a lot more than just plan Napier weddings. 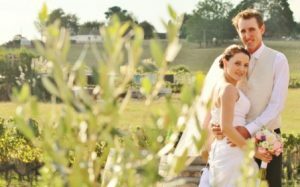 Were are a one stop NZ wedding planner and inbound travel advisor. Hawkes Bay is rich in history and is the countries first stop for top wineries. It’s abundance of world class vineyards make this a top wedding destination. The climate in Hawkes Bay is perfect for wine making but also getting married. Hawkes Bay has a year round warm climate with more sunny days than most towns in New Zealand. It’s a well proven wedding destination with lots of scenery and activities on offer. 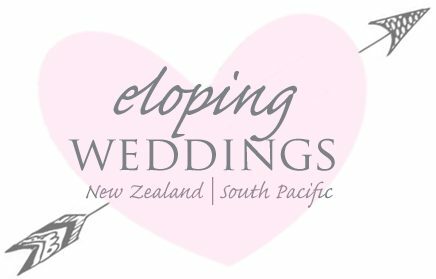 Eloping Weddings have a list of excellent wedding vendors in the Hawkes Bay that are well proven professionals in the wedding industry. Our vendors are waiting and ready to go for your big day. We have short listed and negotiated the best deals for you and put together only the very best suppliers that will show case your day in a unique way. We like to get your ideas so we can personalise your Napier wedding. Receiving the best service on photos and make up for example is important. For this reason we get an idea of your likes and dislikes prior to your wedding day. It helps us get the right creative vendors for your style. Our package consists of everything you need to get married in style in Hawkes Bay. See the list of professionals below and what you will receive in your package. Contact us for the very best in professional service. We would love to hear from you!